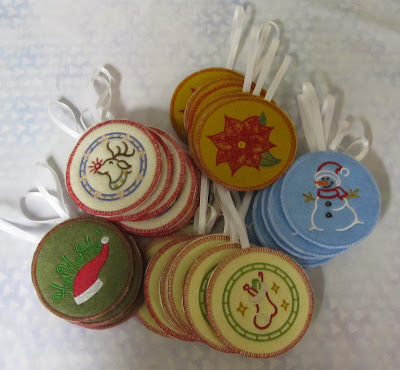 Well I've been busy, busy, busy, making these Christmas ornaments. I am taking them to work to give to my coworkers. Just a nice Merry Christmas gift from me. I'm also taking a big platter of Christmas cookies that my friend Dan and I made. I just realized I never posted the pictures of us making cookies either, so I'll have to share that with you in a couple days (if I don't forget again! ).